It’s Christmas, 1964. The first “Action Figure”, G.I. Joe, is on every boy’s wish list, the popular doll “Barbie” on every girl’s. Fast-forward 26 years to Christmas of 1990, where action figures and dolls have been replaced with the latest video game console, the “Super Nintendo”. This trend, the replacement of traditional toys for their digital counterparts is a trend that continues to this day. So here’s a question: What if you could buy action figures that would come to life and offer the same interactive experience as a video game? Well, thanks to developments in RFID technology, now you can. Toy brands like Skylanders, Disney Infinity, and Lego Dimensions, all offer similar features that promise to do just that. Part action figure and part video game, all three of these brands share the same basic premise. Each brand has it’s own version of a “portal”, a set of figures, and a game-disc. The way it works is simple: Your figure is placed onto the portal and the game disc is inserted into your console of choice. Your selected figure is then loaded into the game, where you can control the character and take him/her on various adventures. Each character has it’s own set of abilities, meaning that each figure opens up new styles of play (and in some cases, new areas of the map). So, with three different brands to choose from, how do you know which one is right for you? Let’s break it down. 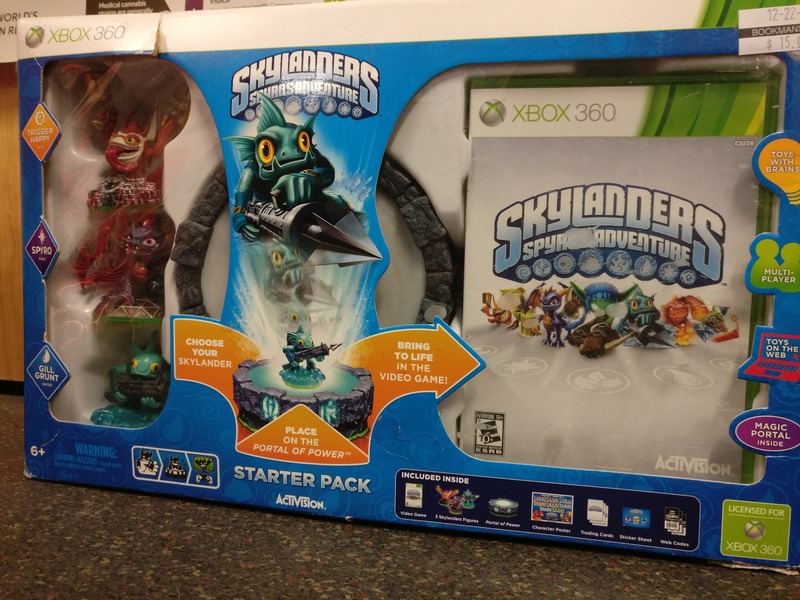 The Skylanders brand was the first brand to arrive on the toy/video game scene in 2011. Wildly popular, Skylanders has since released many iterations of the game, each one introducing new characters and mechanics. The Skylanders brand is loosely based on the classic video game franchise Spyro the Dragon, and is by far the wackiest of the three brands. If you like warrior tornado eagles, unicorn/dragon hybrids, and small furry creatures with buggy eyes, then Skylanders is the obvious choice for you. The Disney Infinity brand is exactly what you expect. The figures are all characters pulled straight from the many universes under Disney’s control. Figures range from Tinkerbell, to Darth Vader, to Spider-Man. All the figures have a cohesive style that is distinct to the Infinity brand, making them feel unique and collectible in their own right. In my opinion Disney Infinity is the best product from an aesthetic standpoint. Disney Infinity is the perfect choice for any Star Wars or Marvel Universe junkie, as well as more traditional Disney fans. 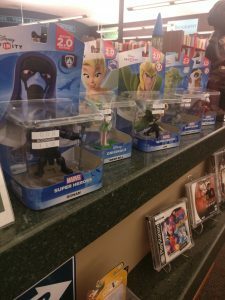 It is worth noting that while Disney Infinity is still being sold in stores, no new products or figures are being made, so get them while you can! Lego Dimensions is the new kid and the block, and it’s my favorite of the three. Like the other two brands, Dimensions includes a portal and bases for the figures to be “warped into” the game. The main difference here is that instead of just buying static figures, additional characters and “story packs” are sold as traditional lego sets that require building. This means that when you buy a pack of Lego Dimensions, you get the game and the characters, but you also get awesome new legos that will totally work with any other legos you may already own! To me, this makes Lego Dimensions a tremendous value. Lego Dimensions features characters from great franchises like Batman, Ghostbusters, Adventure Time, and Back To The Future. Dimensions should be the go-to brand for anyone who already owns a bunch of Legos, or for anyone who needs an excuse to start an awesome collection. What about you? Do you have any experience in the world of toy/video-game hybrids? If you have a favorite brand, let us know! And as always, Portals, Figures, and Game-discs for all three brands can all be found at your local Bookmans but we suggest calling for availability as we can’t guarantee stock.